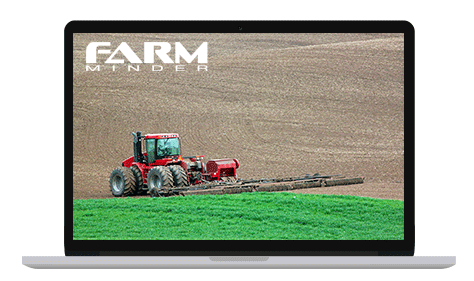 Farm Minder® is a cloud-based farm management software system that helps Australian farms to improve their productivity and profitability. The system manages farm operations, facilitates compliance with quality assurance, chemical safety and WHS obligations and provides comprehensive reporting capabilities. This subscription provides access to all of the tools necessary for complete management of chemicals stored on your farm or in your depot or other chemical storage area. 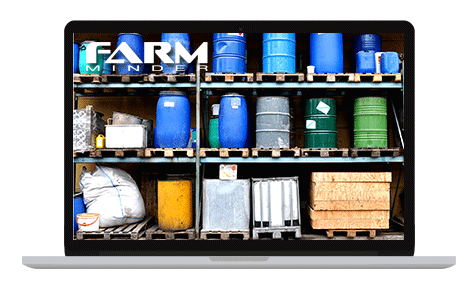 The Farm Minder® SDS Management module provides real time access to up to date farm chemical product information, with an extensive proprietary database of SDS and product label information comprised of 7 million records. Our team updates or adds approximately 2,000 SDS and product labels every month. As the SDS and product labels of the chemicals that you use are updated, the SDS Management tool provides you with automatic notifications of the changes, ensuring that your records remain consistently up to date. Any farm operation that requires the storage or use of chemicals must meet specific legislative and industry requirements. The Chemical Inventory Management module automatically generates the required documentation (such as chemical registers) for your stored chemicals. By selecting products from our extensive database, the relevant chemical information is automatically included in the compliance documentation. How do I purchase a Farm Minder subscription? You can purchase an annual Farm Minder subscription by calling our customer support on 1300 659 965. How will I be billed for the subscription? The Farm Minder subscription is billed in advance annually. Billing for your service begins at the point of purchase, not upon your first use, and automatically continues until you cancel your subscription. An upgrade from the free trial account to any subscription will end your free trial and you will be billed immediately at the time of purchasing your upgrade. Which browser should I use to access Farm Minder? We support the current and previous major releases of Chrome, Firefox, Internet Explorer and Safari on a rolling basis. Each time a new version is released, we begin supporting that version and cease supporting the third-oldest version. How to get help with my Farm Minder subscription? This subscription provides access to all of the tools included in the Farm Chemical Management subscription as well as the Farm Minder Spray Diary, a comprehensive pesticide application and farm operation management solution. If you use pesticides on your farm, or as part of your business or work, you are required to maintain detailed records of your pesticide applications. These recordkeeping obligations apply to farmers, market gardeners, greenkeepers, nursery operators, pest control operators, ground-rig operators, landscape gardeners, local councils and government agencies that use pesticides. The Spray Diary module enables comprehensive recording and record maintenance of crop and livestock treatments with chemicals in a form that meets the relevant legal, industry and quality control requirements. The Farm Planning Calendar enables the rapid development of farm operation plans. It is capable of covering all aspects of farm operations and has the ability to analyse productivity and profitability. The mapping module maps all infested and treated areas on a satellite map and links the map to the appropriate treatment records. It also facilitates the mapping of the locations of chemical storage areas and can electronically provide such maps to emergency services in the case of an emergency. The system enables the in depth analysis of all farm data, with the ability to generate detailed reports on each aspect of farm operations. This optional tool enables the management of multiple farms from a single account. This feature makes the Farm Minder system suitable for farm managers, consultants, agronomists or any other individuals or organisations managing a number of farms from a single point.